The Last Guardian is the long-anticipated follow-up to 2005’s Shadow of the Colossus from Fumito Ueda. Gamers were eagerly anticipating this game, and so we waited, and waited and waited, and finally, in 2015, they showed us new gameplay at E3, everyone was eagerly looking forward to playing another masterpiece from Fumito Ueda and GenDesign, formerly known as Team Ico, but was our journey with the mysterious creature worth the wait? This game is wonderful, and I’m not talking about graphics. 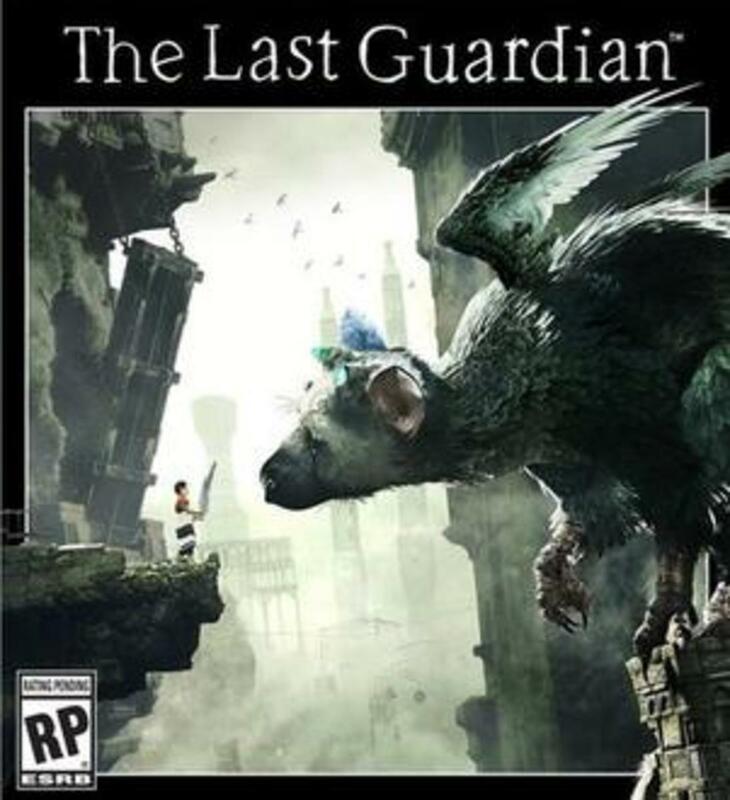 Graphically, it’s an oddball because it was supposed to be a PlayStation 3 game, but it was moved to PlayStation 4 because the technical aspects of the game and Trico’s A.I. just wouldn’t work on the PlayStation 3. What makes this game wonderful is the story, the setting, the atmosphere and the interactions with Trico. The journey that you take in The Last Guardian was worth the long wait. 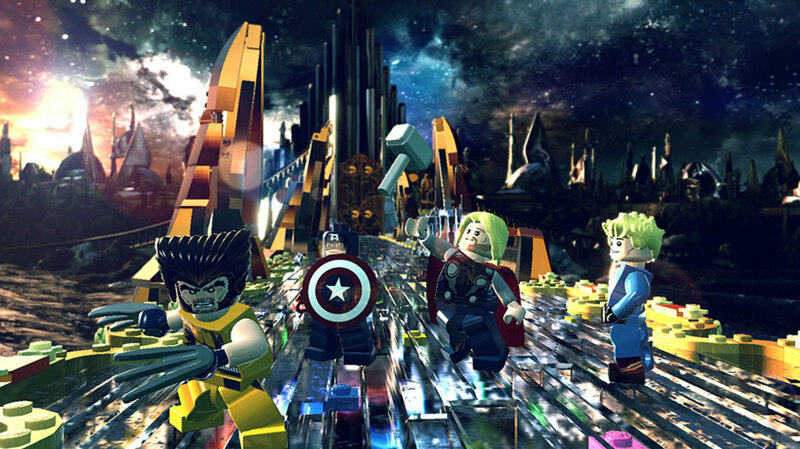 It’s very emotional and intriguing and a lot of fun to play. The Graphics May Not Be The Best, But it’s Beautiful! The Last Guardian’s graphics are beautiful! It may not be the most realistic looking game ever, but I love the art style and the aesthetics and the design of the environments in the game. Trico looks like a realistic fantasy animal; he looks like you could reach out and pet him. And the sheer size of him in game is impressive, because it’s amazing that they got him to look so big but we can still interact with him in the environment. I also love how The Last Guardian is similar to Ico and Shadow of the Colossus, the game’s predecessors, it has the same feeling you get when playing those games. Everything looks good, although it does seem that the boy and Trico have totally different art designs, I really love it. The Sound Design is Great! The sound design is great, there isn’t a lot of voice acting besides the narrator, and he sounds great for having to emote using a made up language, but it’s really interesting. The sounds for the noises that Trico makes are interesting and the sounds of the ruins and sound effects are really fantastic. 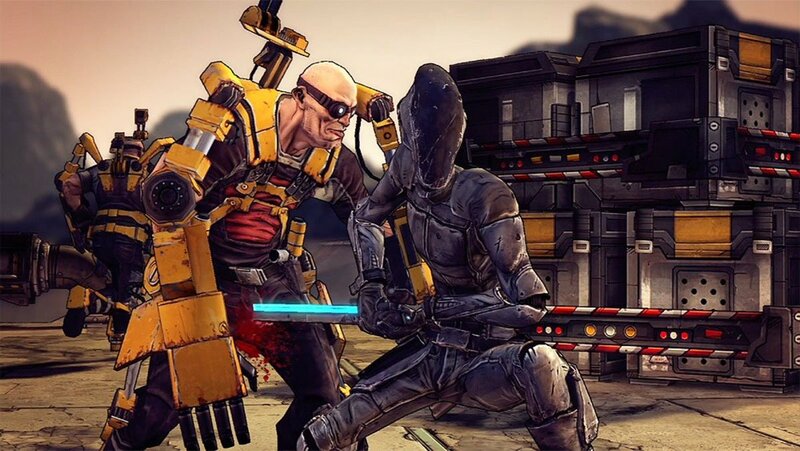 This may be a bigger budget game, but it doesn’t rely on celebrity voice actors or big-name voice actors to carry the story, it just relies on using sound effects and a small voice cast to carry the entire game, like Darkest Dungeon. Interacting with Trico is So Much Fun! One thing I love about this game is interacting with Trico. You can pet him, play with him and feed him barrels. He can be a little hard to control because he behaves like a real animal and doesn’t always listen to you, when you command him to do something. Sometimes you have to wait for him to do something or order him to do something again before he actually does it. While it is an interesting aspect of Trico as a character, I know that some players do find it frustrating. The music by Takeshi Furukawa is fantastic, it sounds so good! There isn’t a lot of music that plays all the time during the game, but it comes on when the game has poignant moments, memorable sections of the game where the music will start. The music is something that I really love about the game, the compositions are emotional, exciting, thrilling and just wonderful music to listen to. 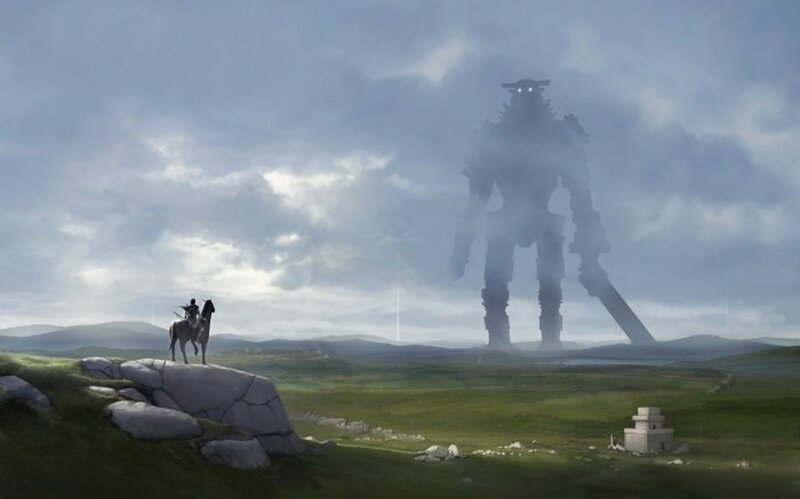 It doesn’t quite top the soundtrack of Shadow of the Colossus, but it’s still amazing music. Will you buy The Last Guarfdian for PlayStation 4? Yes, I'll wait for a sale! The Last Guardian’s controls are a little odd, but that’s because they’ve always had unique control schemes for their games, from Ico to Shadow of the Colossus, they’re always a little different from a typical game control layout, but you’ll get used to it. I don’t have a problem with the controls as I’ve played Shadow of the Colossus so I know what to expect from Fumito Ueda’s gams when it comes to their control scheme. The camera in this game has the Team Ico problem of the wonky camera. 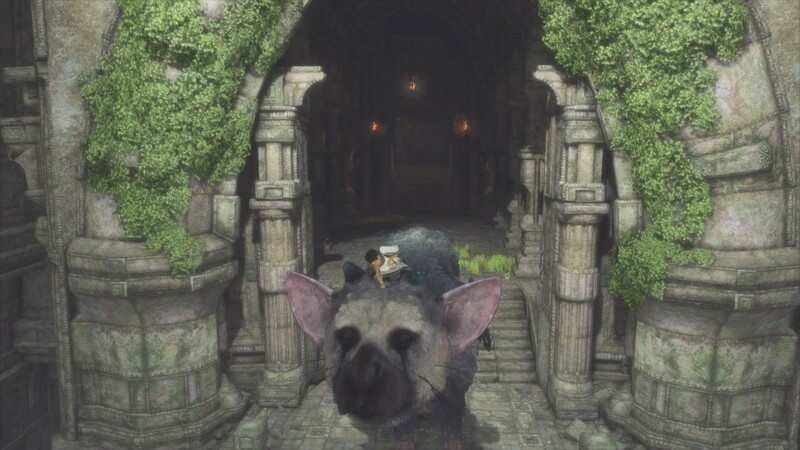 The camera follows the boy and Trico around the environment, but if you climb on Trico and you’re in a tight space and sometimes if you are in tight spaces, the camera will fade to black and you’ll be confused about where you are because you can’t see the boy. I do love that in order to get Trico to calm down after fights, you have to pet him and talk to him, which I find to be really sweet. I know the camera can bother some people, but I still beat the game without too much trouble. The Puzzles are fun, but I hate Barrel Puzzles! I enjoyed most of the puzzles in this game. The environmental puzzles are interesting and that you can use Trico to help you solve the puzzles is a unique aspect of the gameplay that I like. The barrel puzzles, on the other hand, are very annoying because they’re physics based and unless you throw the barrel the right way it will bounce off the environment and onto the floor which means you’ll have to start the barrel puzzle from the beginning if you mess up once, I’ve had to help my friend showing her my video of one of the barrel puzzles, because it’s so annoying to do. I really loved this game a lot, and it meant a lot to me, because I own pets, so I understand the bond between people and animals. This game captured that perfectly, and I really loved interacting with Trico. I had a wonderful experience with this game, and no it’s not a perfect game, but it’s one that I love and I’m very happy to replay. Unlike Bluepoint’s Shadow of the Colossus remake which put useless collectibles and unnecessary DLC into the game, The Last Guardian has unlockable costumes, a collar for Trico and no DLC whatsoever. I like all the neat costumes the boy wears and when you do change your clothes in game, the narrator will talk about the robe he’s wearing, which I think it’s really neat. I normally do not go out and pay $60.00 for videogame because they depreciate so fast, I might as well wait until they’re cheaper before I buy them. I had waited for this game for seven years, so I felt that I should get it for $60.00. While I don’t think that you should buy every game when it comes out for $60.00, I do think you should buy games that you think you’ll enjoy if you can afford them. To me, The Last Guardian was worth that price, because I enjoyed it so much and the developers worked for so long, the least I could do is support them on launch. But now that it’s been awhile and the price has gone down, I can definitely say that now is the time for gamers to buy it, because it’s not as expensive as it used to be. I’m more impressed by people that purchased the collector’s edition with the steel book and the statue, the art book and the box that came with it, because that was a lot for a game that no one had played yet. I love this game, it is one of my favorite games that I’ve played in a while. 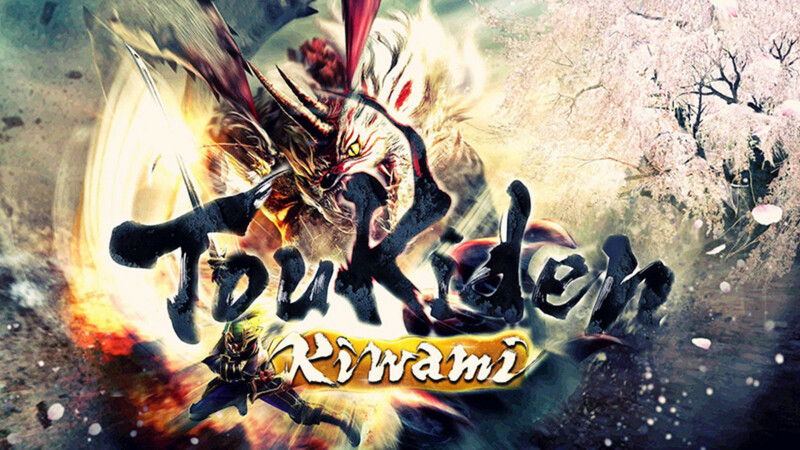 The story is wonderful, the gameplay is fun. It’s not a perfect game, it’s hampered by wonky camera angles and physics puzzles that can be very frustrating. 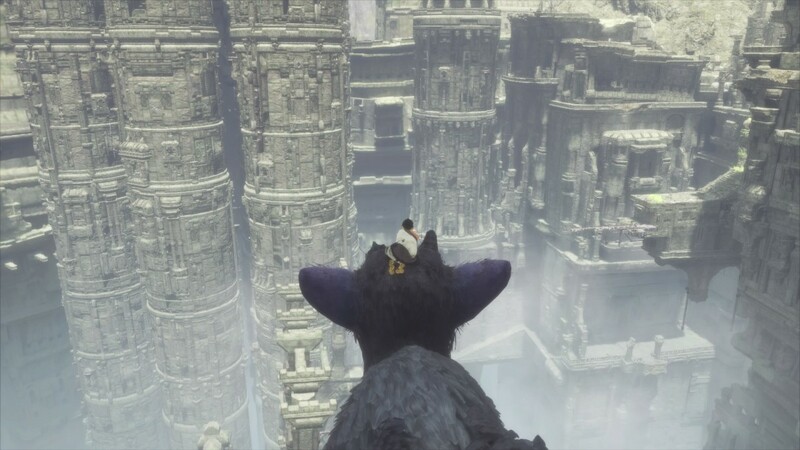 But none of that matters to me, I had an amazing experience playing this game, you can share some really beautiful screenshots from the game, and interacting with Trico and bonding with him was an unforgettable experience for me. 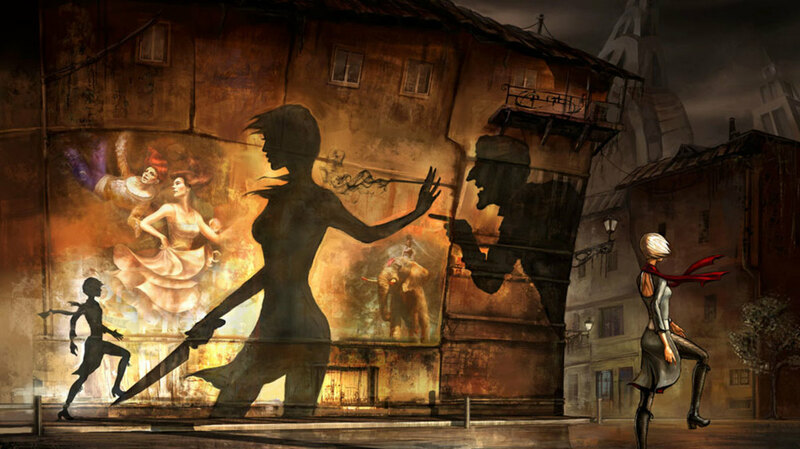 Team Ico, now known as GenDesign delivered a wonderful game for fans of their previous games, and even though they are not officially known as Team Ico, they still gave me an amazing experience that made me very happy by the time the words, “The End” showed up on screen. It was worth the seven year wait that I went through, and I’m so happy that I was finally able to write a review for a game that was “vaporware” for almost a decade. So I just want to thank Fumito Ueda and GenDesign for making this game, and making it a wonderful experience. From the bottom of my heart, I say thank you so much! Videogame Review: "Mount and Blade: Warband"
The one thing I remember about The Last Guardian is people talking about how long the game took to make. I only play games on a computer so I have not played it but it does sound fun.